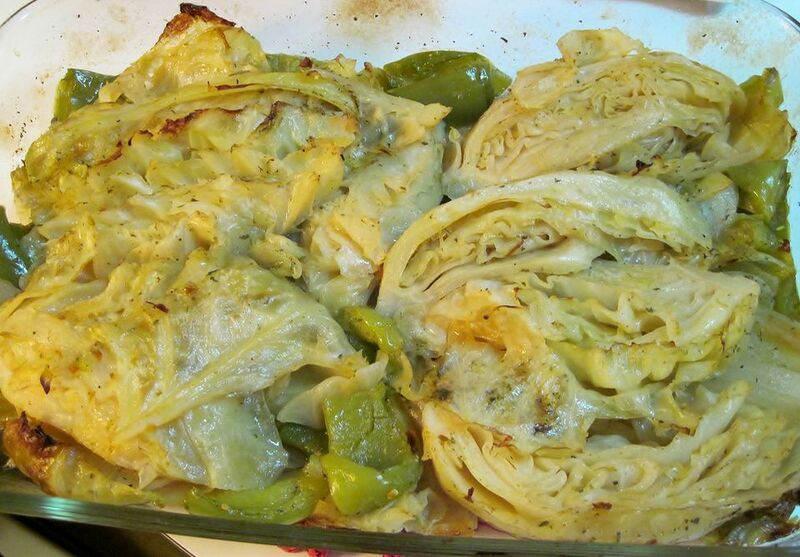 This Czechoslovakian braised cabbage recipe - dusene zeli - is easy to prepare, but it takes about 1 hour to braise properly. Still, the ingredients are few and simple and the dish makes a great accompaniment to many meat offerings. This recipe is a good candidate for a slow cooker. In a large skillet or Dutch oven, heat bacon fat and saute onions 8-10 minutes or until lightly colored. Stir in bacon and cook about 5 minutes or until lightly browned. Add cabbage and caraway seeds, mixing well. Cover and cook 5 minutes over medium heat. Add vinegar, water, salt, sugar, and pepper. Bring to a boil, cover tightly and cook 45 minutes to 1 hour over low heat, stirring occasionally, until cabbage is done to your liking. Add water if necessary.